It’s a no brainer that the climate of Hip-Hop/Rap has utterly changed in the past few years. Some might say the change has been for worse, while others may suggest that these new sounds are evolving the genre for better. Nonetheless, the shift is evident. With the emergence of so many new rappers and artists on what feels like a weekly basis, it is very hard to find genuine, raw appeal that sticks to the soul. 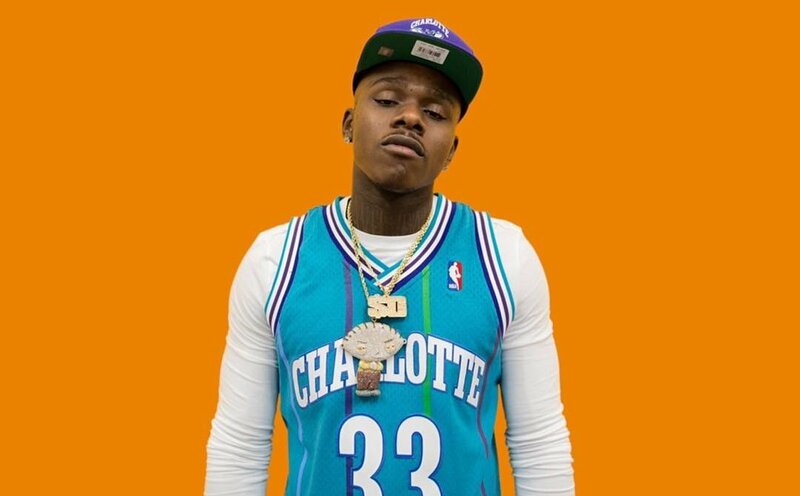 However, when mentioning new artists who are really killing the game right now, Charlotte native and rapper, “DaBaby” better be on your list. With his mainstream debut, “Baby On Baby” with Interscope Records, DaBaby delivers such an appeal that leaves listeners wanting more from beginning to end. With a very… “Dirty South” essence, the rapper channels the energies of the southern talents such as T.I., Young Jeezy, Yo Gotti, Ludacris, Kevin Gates, (and more) but creates a completely different sound that remains true to himself! Released last month, the impressive debut runs for about 32 minutes with a total of 13 songs. “Baby on Baby” features the talents of artists such as Offset, Rich The Kid, Rich Homie Quan and Stunna 4 Vegas. From the album’s start to finish, DaBaby delivers this very unique style of rapping. His execution is very fast-paced and playful but still manages to make listeners bring out their meanest stink faces as they listen to his gaudy lines. Listening to the rapper, one would not think he was the “new kid on the block” as his cadences, bars and self-esteem instead display a rap veteran. He makes it clear throughout the entire album that he is the best rapper alive and nobody is or will ever be in his lane. While very comical and humorous, the 27-year-old artist is very serious about killing this rap game. His charisma explodes with album’s opening tracks such as “Taking It Out,” “Suge” and “Goin Baby.” His flow is aggressive, energetic and in-your-face. Along with bass hitting beats and distinct composition, the production is steady. It does not contain many major shifts which is honestly fine because the flow is consistent throughout. None of the songs are too long and overwhelming. It is as if he knows exactly when to begin and end each track. Rich The Kid enhances the track adding the same charisma and energy seen in DaBaby. The song is very suave but it still makes you nod your head and sing along. Of course, the album ends on a strong note with the rappers breakout track, “Walker Texas Ranger.” Again, DaBaby brings the cocky swag, the braggadocios lines and the flavor that leaves the listeners wanting more from him. As soon as you hear that beat and the line, “B*tch, it’s DaBaby, what you heard about me?” immediately you’re ready to set it off in the club, party, or whatever type of function. DaBaby makes it clear that while it is all fun and games, he is dead serious about everything he is saying. The authenticity of the record is what will not only grab listeners but also keep them coming back for more. “Baby on Baby” is not an album to be played at classy places, events and forums, but triumphs in settings such as clubs, parties, kickbacks and even in your car with the volume turned all the way up. The album is not meant to be a pleaser for the mainstream world. It holds its own course and definitely keeps your energy at an all-time high! This album makes you want to go for a drive, with the top down and your foot to the pedal! DaBaby has no desire to be seen as perfect in anyone’s eyes, instead he lives in his truth, tells a story and creates a refreshing sound that really sets him apart from other artists today. “Baby on Baby” definitely sets the tone for future projects, brings back that dirty south style of rapping and is just all out fun to listen to!